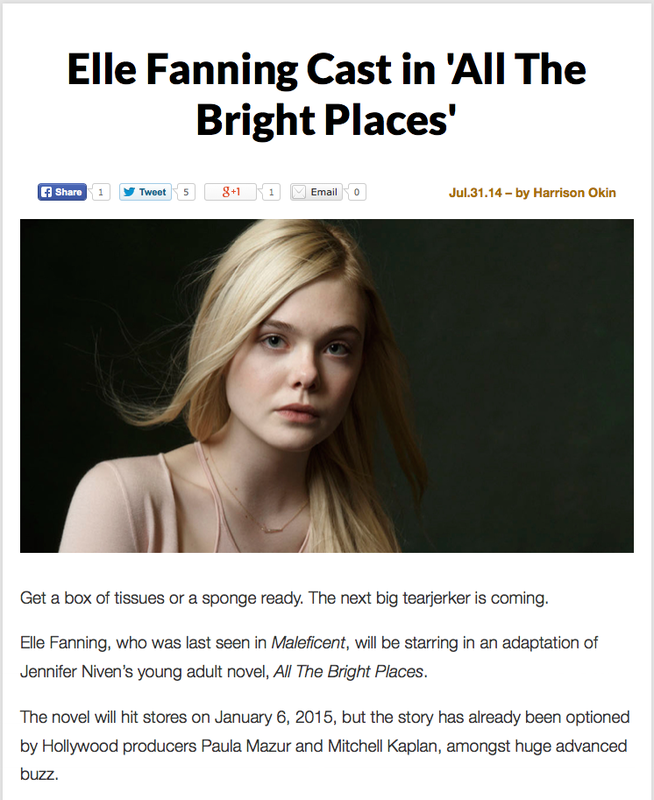 Elle Fanning to Star in Adaptation of YA Novel "All the Bright Places"
Germ will be making its big-screen debut in the movie adaptation of All the Bright Places, the novel where Germ originated. 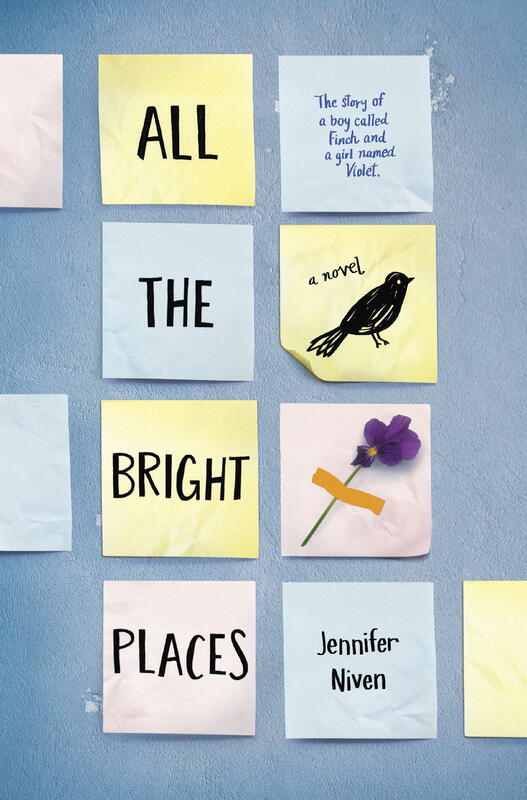 In the book, main character Violet Markey is reeling after the recent death of her sister. 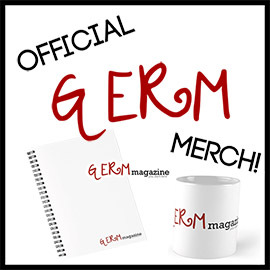 She meets a boy called Finch and, along the way, creates Germ Magazine. 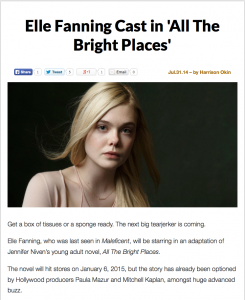 Elle Fanning, who was last seen in Maleficent, will be starring as Violet. (!!) 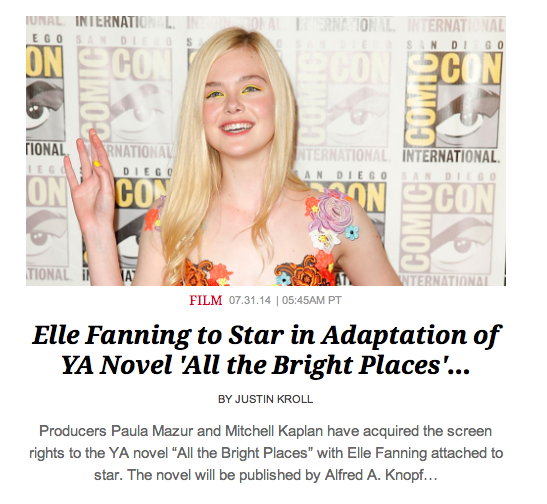 The novel will hit stores January 6, 2015, but the story has already been optioned by Hollywood producers Paula Mazur and Mitchell Kaplan. 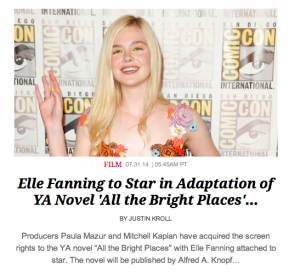 The novel will be published by Alfred A. Knopf, an imprint of Random House Children’s Books, on January 6, 2015, with a first printing of 150,000 copies. 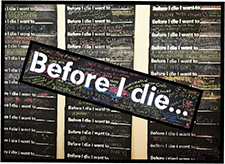 It was acquired in a two-book pre-empt and will be edited by Allison Wortche, Senior Editor, Alfred A. Knopf Books for Young Readers. Early rave reviews for the novel resulted in multiple international publishing deals at this year’s Bologna Book Fair. A total of 14 languages have been licensed to date, including Penguin Random House UK, Gallimard in France, Blanvalet in Germany, and De Agostini in Italy. 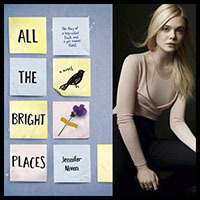 All the Bright Places is an exhilarating love story told in alternating voices, about a girl who learns to live from a boy who intends to die. When Violet and Finch meet atop the bell tower at school, a unique bond is formed, and an unspoken promise made: stop counting the days and start living them. In 2009, award-winning Hollywood producer Paula Mazur and nationally recognized independent bookseller Mitchell Kaplan joined forces to create the Mazur/Kaplan Company, with the objective of identifying, optioning, and producing literary properties for film and TV. The team has numerous bestselling titles in the pipeline for production, including The Guernsey Literary and Potato Peel Pie Society, The Silent Wife, and Major Pettigrew’s Last Stand. Producers Paula Mazur and Mitchell Kaplan fell “madly in love with Niven’s deep, funny, emotional young love story” after it became one of the most sought-after titles at this year’s Bologna Book Fair. Fanning, last seen in Disney’s Maleficent, has been in such films as Somewhere, Ginger & Rosa, We Bought a Zoo and Super 8, and will next be seen in Low Down and Young Ones. She is represented by WME, Echo Lake Management, and Hansen Jacobson. Sylvie Rabineau of RWSG Literary brokered the film deal on behalf of book agent Kerry Sparks at Levine Greenberg Rostan Literary. 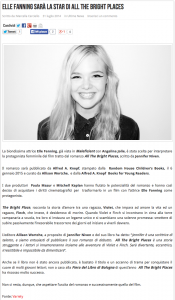 International publishing deals were made by Jocelyn Lange, Associate Director, Foreign Rights, Random House Children’s Books.